With a limited supply of petroleum available, electric vehicles are in all likelihood the future of transportation. Already, a wide range of vehicles – from the high-end Tesla X all the way down to a simple electric scooter – are powered by batteries rather than gasoline or diesel. With electric vehicles, though, designing the batteries that power them is the most challenging aspect of the vehicle’s engineering. Batteries used in electric vehicles must be powerful enough to crank out as much or more horsepower as a conventional vehicle, able to hold a charge long enough to make long-distance trips a possibility, and lightweight enough to keep from hurting the vehicle’s performance. These are tough qualifications for any battery to meet, but engineers have already had a great deal of success designing batteries that can stand up to the challenges of running an electric vehicle. In this article, we’ll look at the types of batteries that are used in electric vehicles today and explore the features that make them well-suited for the task. Undoubtedly the type of electric vehicle that receives the most attention, electric cars such as the Tesla X, Tesla S, Tesla Model 3, Chevy Bolt, and others are the standard bearer for electric vehicles and likely the blueprint that future cars will follow. These cars require powerful batteries that can hold a charge for a long duration and provide rapid acceleration. Given the size and horsepower of an electric car these vehicles can afford for the batteries to be a little larger without having to worry about a decrease in performance, though the size and weight of the battery is still something that must be taken into consideration. Another popular type of electric vehicle, e-bikes use an electric motor to augment human-powered pedaling and make going up hills and riding against a headwind require less energy on the part of the rider. The batteries that power e-bikes must still be powerful, but not nearly as powerful as those that power electric cars. Instead, more focus is directed toward designing a small, lightweight battery that can be flawlessly integrated into the bike’s small frame. Much like an e-bike, electric scooters rely on an electric motor to replace or augment human power. 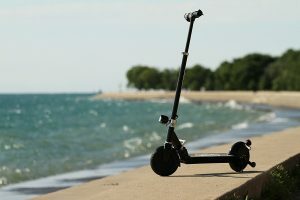 Electric scooters are often even less powerful than e-bikes, and even more attention is given to designing lightweight batteries that won’t add unnecessary bulk to the scooter. 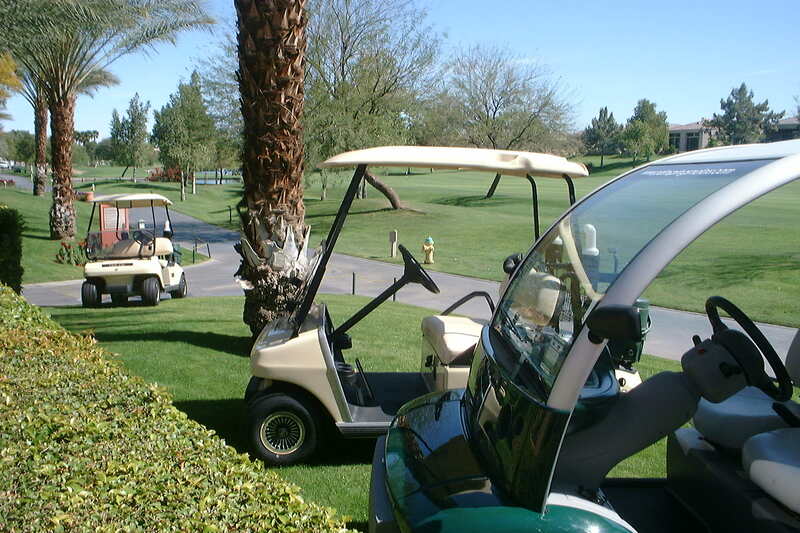 Golf carts and other such small, low-speed transport vehicles are very often powered by batteries. This allows them to be quiet and lightweight while still providing enough power to transport multiple passengers at the same time. These three types of vehicles are the most common electric vehicles available to the general public today, though there almost limitless possibility as to what the future holds in store for electric vehicles. As technology advances, look for more types of electric vehicles to become commonplace in cities everywhere. 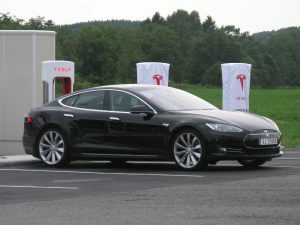 As for the electric vehicles we currently have, though, what types of batteries are used to power them? To answer this, we’ve compiled a list of the types of batteries used in today’s electric vehicles as well as the features and advantages that make them viable solutions. 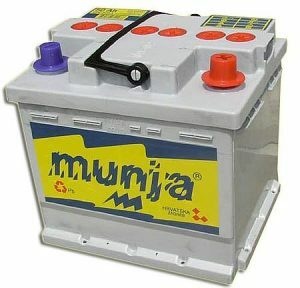 Though the lead-acid battery is the oldest of all rechargeable batteries, it is still one of the most popular and effective batteries used in electric vehicles. The lead-acid battery was invented in 1859 by a French physicist named Gaston Planté, and though the design has changed fairly drastically over the years, the base principles of the battery have remained the same. Lead-acid batteries work by combining multiple 2.1 volt cells in series to produce either a 6.3 volt or 12.6 volt battery. These cells consist of lead plates that have been submerged in a pool of electrolyte that consists of water and sulfuric acid. 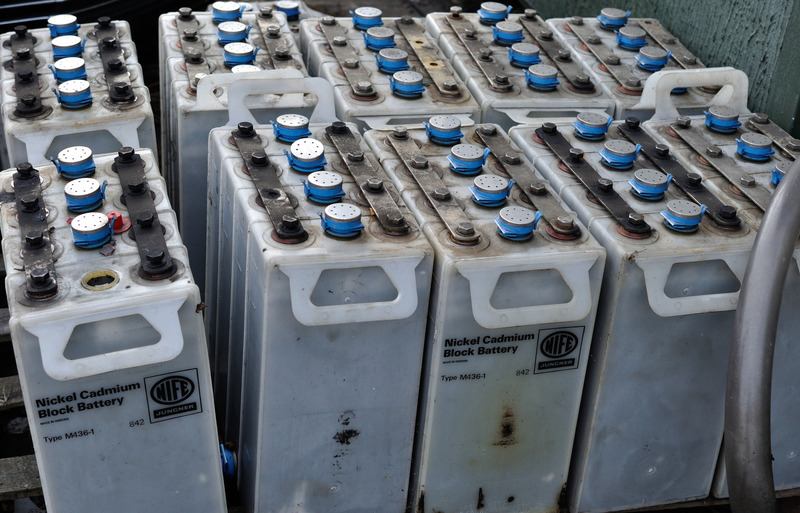 Today, lead-acid batteries account for approximately 40% of all battery sales in the world, and their most common use is as a starter battery in petroleum-powered vehicles. Along with this, though, lead-acid batteries are used as the sole source of power for certain vehicles, namely electric golf carts. Lead-acid batteries aren’t powerful enough to power an electric car, and they’re too heavy to be used in vehicles such as e-bikes. 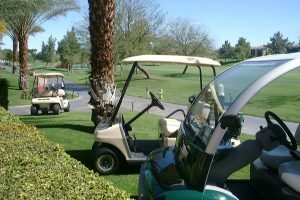 For electric golf carts, though, which don’t require tons of horsepower yet are large enough to support a hefty battery, lead-acid batteries are the perfect solution. 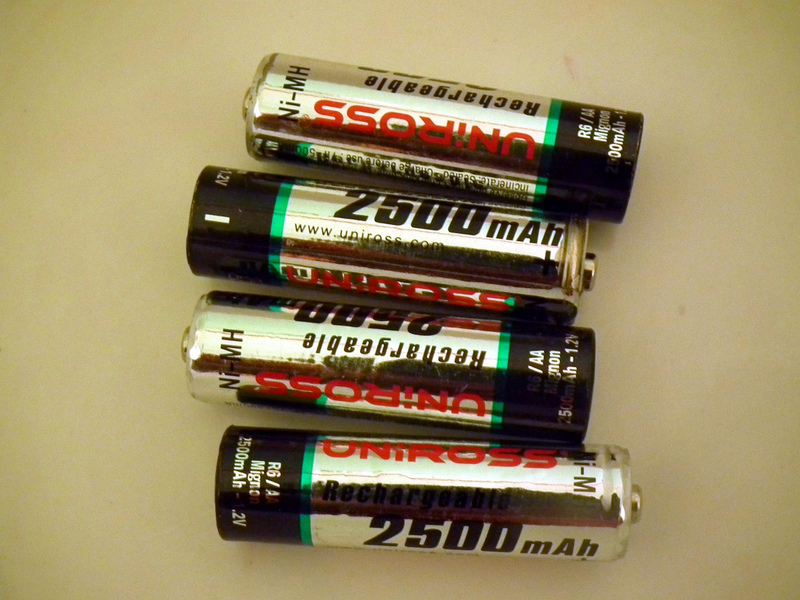 Nickel-Metal Hydride (NiMH) batteries are powerful batteries that can go a long time between charges. Work began on developing the NiMH battery in 1967, though it wasn’t until 1989 that NiMH batteries first became available. 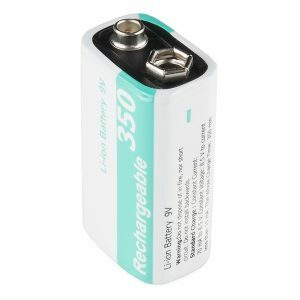 Since then, NiMH batteries have undergone numerous innovations that have made the batteries more powerful and more durable. NiMH batteries are designed to have up to three times the capacity of a NiCd battery of equal size while also achieving an energy density that competes with the energy density of lithium-ion batteries. Thanks to these properties, NiMH batteries are used in some of the most popular electric vehicles, including the General Motors EV1, the Honda EV Plus, and the Ford Ranger EV. The speedy Vectrix scooter also relies on a NiMH battery to power it, as do some e-bikes. Though not quite as powerful as lithium-ion batteries, NiMH batteries are a cost-efficient, highly effective solution for use in a wide range of electric vehicles, including some of the most popular electric cars and scooters on the road today. Lithium-ion batteries are currently the most popular type of battery used in high-performance electric vehicles. They were first developed in 1973 by Adam Heller and were introduced commercially in 1991 by Sony and Asahi Kasei. Today, lithium-ion batteries present a highly effective option for electric vehicles thanks to their high discharge rates which allow for rapid acceleration. The exact types of lithium-ion batteries used by electric vehicles are Li-pol, NCA and LiFePo4 batteries. NCA lithium-ion batteries manufactured by Panasonic are used in most all of Tesla’s vehicles, while LiFePo4 batteries are used by Aptera Motors and Quicc!, and Li-pol batteries are used by Hyundai to power their hybrid vehicles. 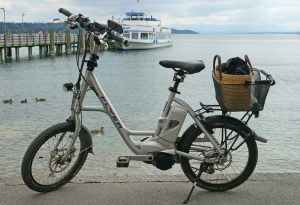 Lithium-ion batteries are also a popular choice for powering a wide range of e-bikes, electric scooters, and other electric vehicles, and the lithium-ion battery seems to hold the most potential for powering future electric vehicles. Many innovations have recently been made in producing lithium-ion batteries, and it’s not hard to imagine even more innovations allowing lithium-ion batteries to power cars that are faster and can go longer between charges than current models. Electric vehicles as they exist today haven’t been around for long, yet already a remarkable amount of innovations and advances in their design have been made. As the batteries powering electric vehicles become more powerful, more efficient, lighter, and more durable, the ability to produce an electric vehicle that will outperform any petroleum-powered vehicle on the road becomes an increasingly realistic possibility. As it currently stands, though, the battery types we have today are already doing an exceptional job of powering some pretty impressive vehicles, and whatever the coming years produce, the future is bright for electric vehicles and batteries that power them.